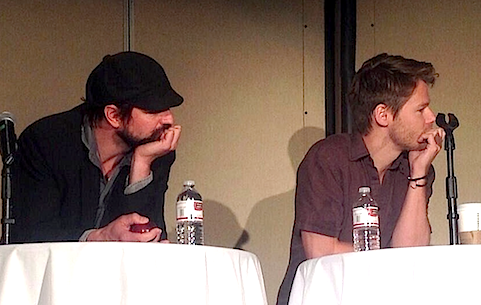 [x]No bashing of Gale or Randy's partners is allowed. These are written for fun and in no way meant to be offensive to Gale, Randy, their respective partners, families or friends. If you're not comfortable with the subject please don't read it and don't comment on it. Also please keep in mind that when not indicated otherwise these are NC-17 rated stories. So I Was Thinking aka "I don't know how to tell you this Mrs. Harold, but your son is retarded." The Reincarnation of Fanboy aka Snooglyshnork and Ugly! Gale/Randy Appreciation Thread #5: Cucumbers, best vegetable ever! Gale/Randy Appreciation Thread #8: "I could make him love me"
Gale/Randy Appreciation Thread #12: b/c pink candy+dead rat=love! Gale/Randy Appreciation Thread #13: b/c we want to see them naked NOW! 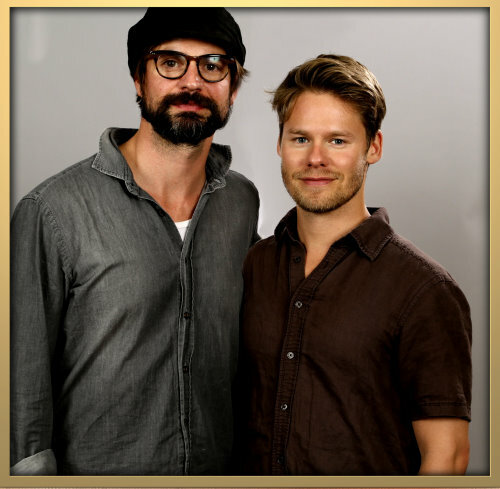 Gale/Randy Appreciation Thread#20-b/c we'd love to film their "reunion"
Gale/Randy Appreciation Thread #23-we are waiting for their new "collaboration"
Gale/Randy Appreciation Thread #24 - We just can't get enough of these two! Gale/Randy Appreciation Thread #25 - No matter when, they will meet up again! 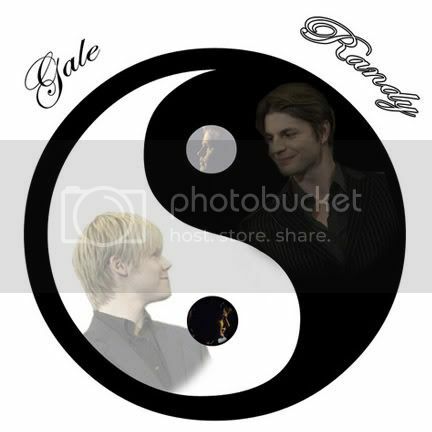 Gale/Randy Appreciation Thread #26-B/C We Keep GR Straight Here On The QaF Board! Gale/Randy Appreciation Thread #27 - They are always there for each other! Gale/Randy Appreciation Thread #28-Randy is Desperate for Gale! Gale/Randy Appreciation Thread #29 - Another renunion is on the horizon! Gale/Randy Appreciation #32 - Are you listening?! We're still waiting! Gale/Randy Appreciation #33: We know you are there! Gale/Randy Appreciation #34 - March will be our lucky month! Gale/Randy Appreciation #37 - Because they are so adorable when they are joking with each other! Gale/Randy Appreciation #41: Because Paris will be even more romantic in two! 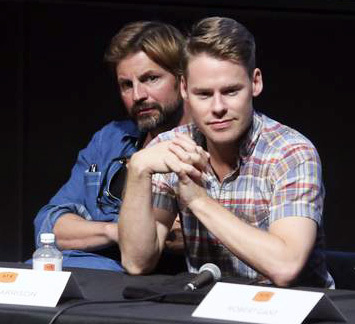 Gale/Randy Appreciation #43: Because it would be great to see them in the same play! Gale/Randy Appreciation #44 - Because we blame our craziness on them! Gale/Randy Appreciation #45 - Because they aren't embarrassed easily! Gale/Randy Appreciation #46: Because we just got the second most historic reunification since Germany! Gale/Randy Appreciation #50: Because let's the countdown to their reunification begin! Gale/Randy Appreciation #51: Because there's no reunion in Germany but someday there will be! Gale/Randy Appreciation #52 - Because they are unique and we love them for it! Gale/Randy Appreciation #53 - Because the reunion finally happened! Nice! I love the title and thanks for the new thread. It looks like we need a new header photo. I think we should use one of Sia's gif/photo sets as the new photo. That would be perfect. What we think of that? If they're hers, we can ask her permission to use them but if they come from other places we'd have to get permission from them, but it's actually doable. Sometimes you just never know. One time I'd gotten admonished by someone for using their gif without crediting, and I didn't even steal it directly. I had copied it from my timeline not knowing someone took it from them and I was using it. People get so cranky when you don't give credit sometimes.